Yes Its Received Totally From Tronsmart. Spin to wheel contest run by tronsmart during FIFA world cup football Russia 2018. Many user win and received free product from Tronsmart. Also received our awesome fan sajid. Its Amazing Tronsmart Speaker is awesome. Tronsmart T6 Bluetooth Speaker transmits 360°surround sound for room-filling audio. Our external passive radiator accentuates bass response even in the lowest bass ranges. MaalFreeKaa.in Online Contest, Free Sample, Giveaway, Deal, Offer No. 1 Website you can find all freebie deal and online giveaway only here. Raksha Bandhan contest 2018 find only here and win freebie. We are now Best Awarded in Publish Contest and Free Sample Website world wide. Keep Playing to win freebie prizes. This Proof our team always share best freebie or free sample. Don't Miss out the chance. This is Totally Free Received. 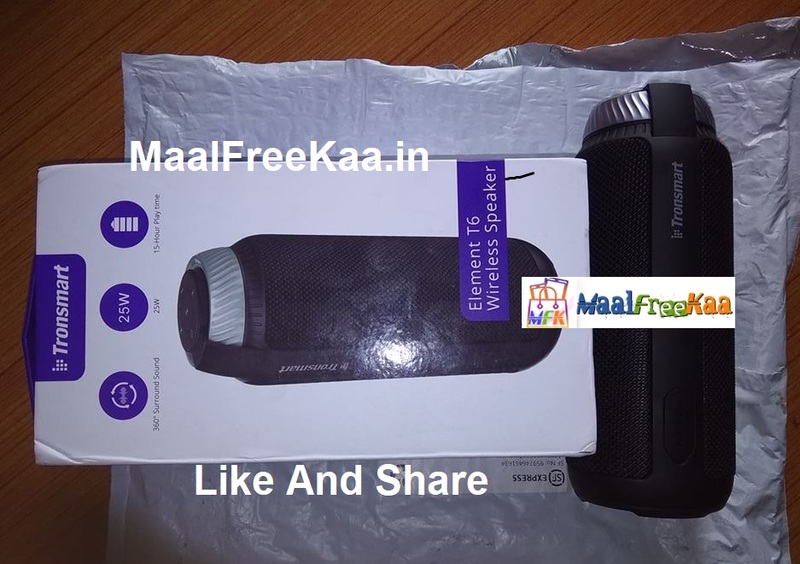 Tronsmart T6 Bluetooth Speaker Transmits 360 Surround Sound Review By Fan. 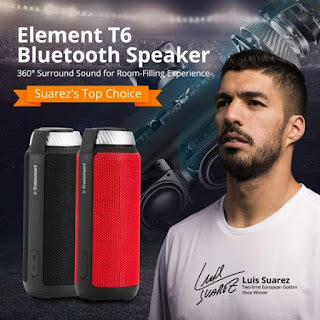 I have a lot of Bluetooth speakers and for it's size and price range, the Tronsmart T6 is among the best I've heard. The two 25W drivers are amazingly loud and it has some pretty awesome bass, too. It has a couple of really cool features - there's a rotary dial to control volume and a touch-and-slide feature to change tracks It also lacks a battery indicator. You really have no idea how much power is left when using it. Out of nowhere you will get a weird busy signal type of sound and the LED blinks and that is the only way you know its time to recharge. I almost want to think the battery inside is larger than is stated but that just may depend on the type and volume you are listening to. Excellent for listening to your Spotify or other music around the house. The base quality is satisfying as are the upper tones. Volume is fine for in room listening. I really like it. It sounds as if it is playing right in your ear. Bluetooth Speaker, Tronsmart 25W Dual-Driver 15 Hours Playtime 360 Degree Surround Sound Wireless Speaker with Deep Bass for iPhone, Android, Pool, Beach, Golf, Home-Black. 5. Or Email at maalfreekaa@gmail.com with your name or received product picture and experience (like your own review) after our team publish on web with your name.